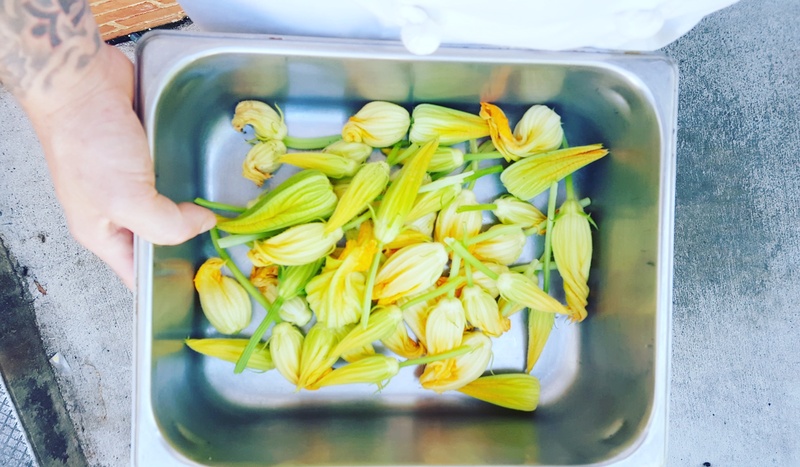 We had an abundance of squash blossoms in the garden, and I wanted to see what I could do with them. I dried the petals, removed the stamen and I realized that the stamen looks like a tiny little yellow mushroom. And it also contains all of the pollen from the plant as well. 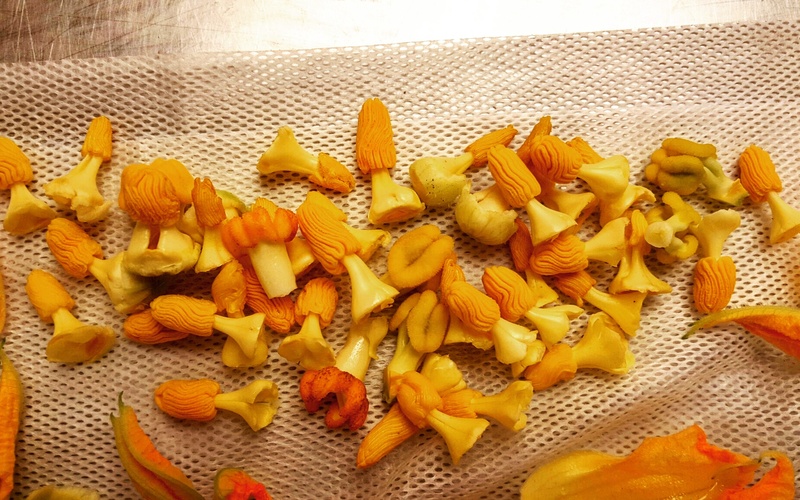 Squash pollen may be the next big thing. Next time I’m going to salt pack the stamen and try to make squash pollen capers. Botany is the bees knees. This entry was posted on July 31, 2016 at 9:38 pm and is filed under Chef. You can follow any responses to this entry through the RSS 2.0 feed. You can leave a response, or trackback from your own site.